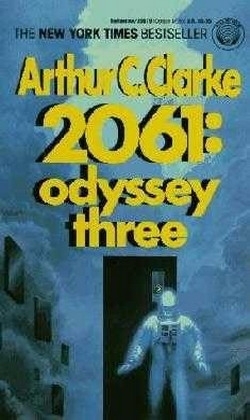 2061: Odyssey Three is a science fiction novel written by Arthur C. Clarke in 1987. It is the third book in the Space Odyssey series. It returns to one of the lead characters of the previous novels, Heywood Floyd and his adventures which take him from the 2061 return of Halley's Comet to Europa.